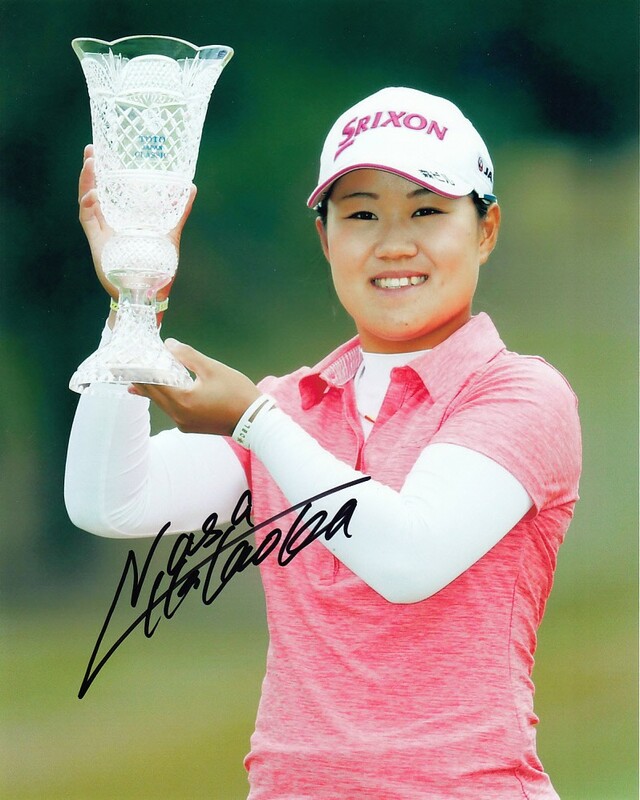 8x10 photo of Japanese LPGA superstar Nasa Hataoka posing with the 2018 Toto Japan Classic trophy autographed in black Sharpie. Obtained in person, with certificate of authenticity from AutographsForSale.com. ONLY ONE OF THIS POSE AVAILABLE FOR SALE.